It’s not exactly a difficult task to find a smartphone case that will not only snugly fit your precious and expensive iPhone, but that will also protect it from the elements as well as minor bumps and knocks that everyday life brings. If it suits your mood, you can also quite easily find a case that goes above and beyond that protective nature by actually introducing a functional feature, such as a camera lens attachment or even an integrated backup battery. 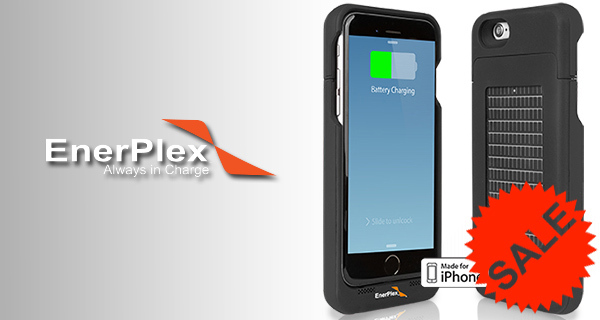 The EnerPlex Surfr is one such case, which not only features an integrated 2,700mAh battery, but is also powered by solar charging. First and foremost, the main appeal of this case is undeniably going to be the fact that it comes with an integrated 2,700mAh battery pack that can breathe additional life into a connected iPhone 6/6s. We would hazard a guess that not many iPhone owners with an above average use of the device will manage to get through a day on one charge, making cases like this vital for most. The integrated battery pack in the case should be good for a full iPhone 6/6s charge cycle, if not a little bit more. The battery also ships with PowrLock technology, meaning that the case should hold its charge for longer. 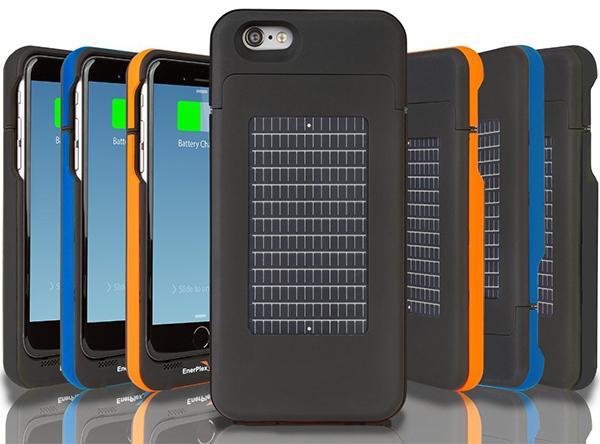 In addition to offering protection and an extra charge cycle bundled together in a slim case, the Surfr also comes with the benefit of a solar panel backup. If your iPhone battery is dead, and the Surfr case’s built-in battery is dead as well, then you can always rely on the sun to give you that additional injection of power until you can make it to a power outlet. This essentially means that you are never really out of battery no matter what. For those consumers that love peace of mind, it should install a bit of confidence in the product that it has been designed and manufactured to conform to Apple’s Made for iPhone (MFi) program. If this type of case appeals to you, then you might want to act quickly while it’s been discounted down by 29% for a limited period of time. 6 hours to get 10% charge via solar FYI. These solar panels are so ridiculous, one might need a foldable panel in order to charge this thing in a reasonable amount of time. Batteries and small electronics hate heat, and this requires your phone being left out in the sun… (Facepalm).